in my usual size. 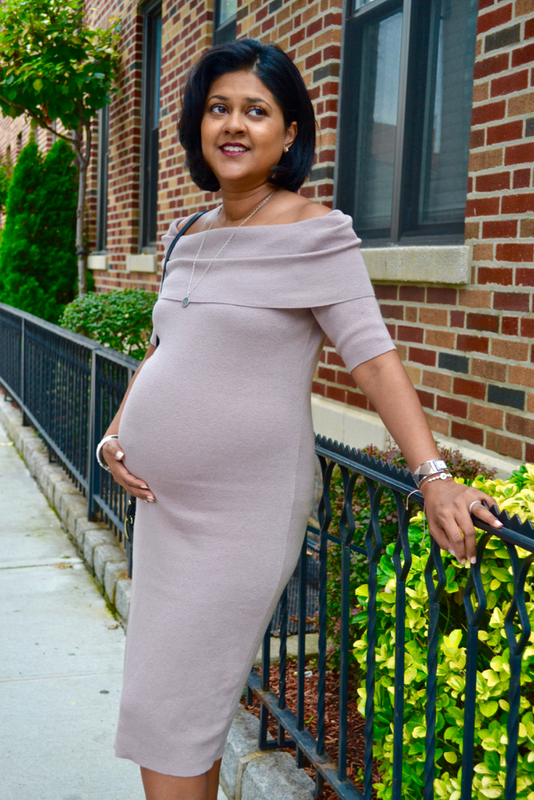 It is a great fall piece that works with my growing belly. 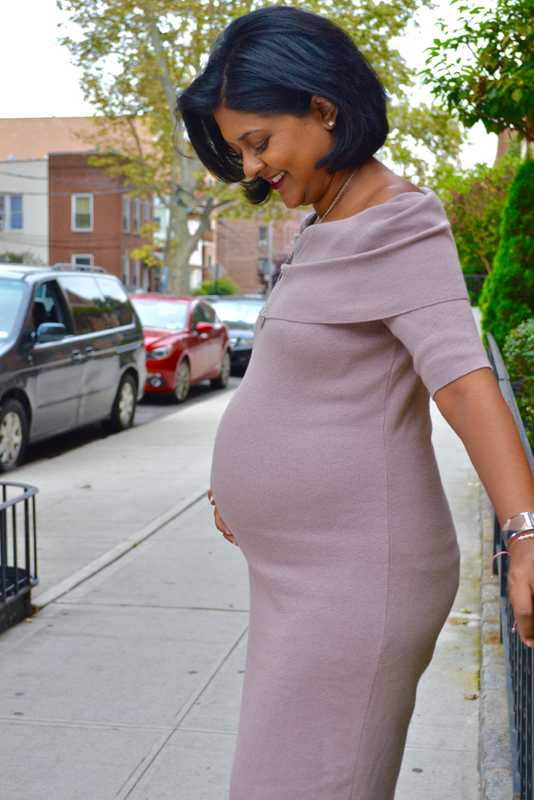 Speaking of my growing belly, I am in my third trimester now and the fatigue has come back again. Fortunately, it is not as bad as the tiredness I had in the first trimester. Also, something no one told me about, is the pressure and the pain that comes along with it. I can feel the pressure at the bottom of my abdomen and sometimes it can be a bit painful when I walk. Which brings me to walking...I have made sure to walk a lot during this pregnancy especially since I haven't been to the gym as much in the last two months. But after a while, I do get a little short of breathe and have to take it easy. There is also the sleep issue, it is definitely more difficult to get comfortable at night but I place a small pillow on my side under my belly to help me sleep at night. All in all, I would say I am very fortunate and having a great pregnancy. There are things I am still learning about as we go but I know it is all worth it in the end.